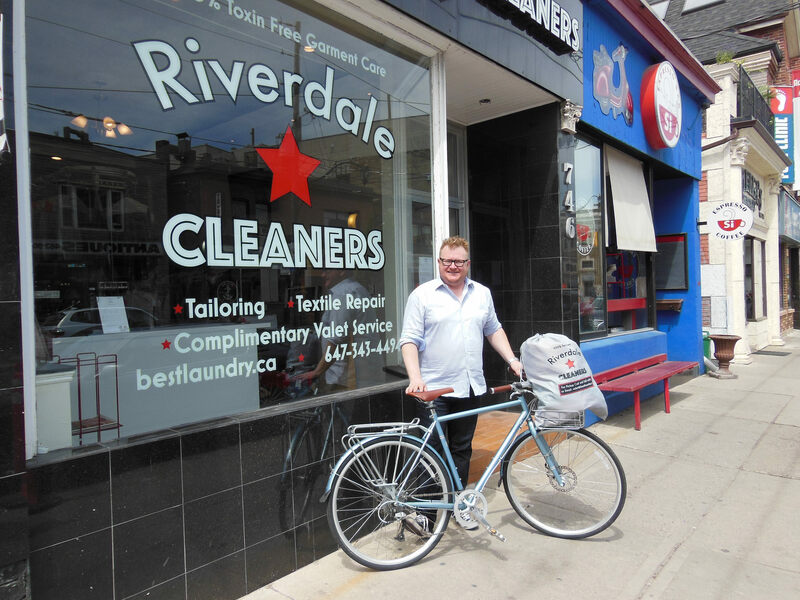 Caullyn from Riverdale Cleaners said it is important for cyclists to be able to safely access his business. 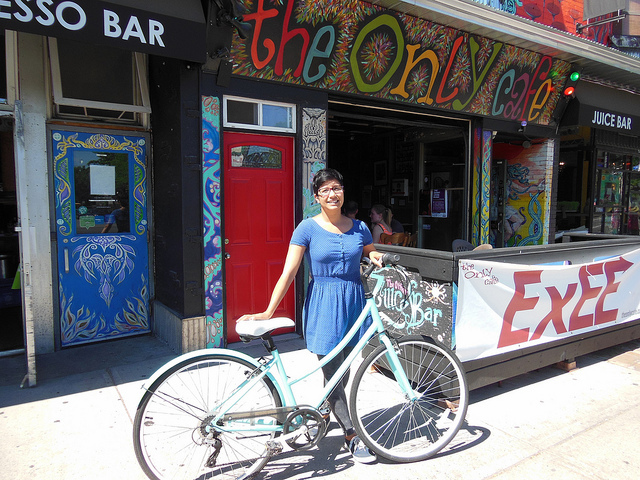 In the wake of the Danforth being reinstated for a major corridor study as part of the ten-year cycling plan, we spoke to people who own businesses and work along the Danforth to see how they feel about them. If you support bike lanes on Danforth, like many of these folks do, don't forget to check out Bells on Danforth on Saturday, June 25. I can't wait 'til they arrive, actually. I think it brings traffic and the more people that get away from the car situation that their going to be shopping local and having more interaction with their community. I definitely support them. I've had two concussions from bike accidents: from other people hitting me or just, like, bad traffic, so I would definitely love bike lanes on Danforth. 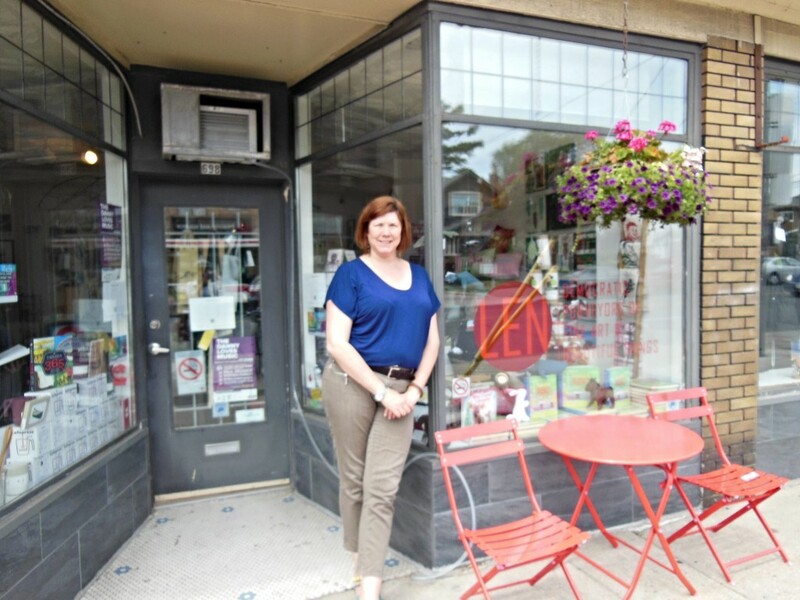 It makes everyone more accessible, too, for businesses like The Only Café. I think they're much needed for the entire city bike plan. It's an area of the city that's missing bike lanes and it has a high traffic volume of cyclists going to and from the downtown core. I think in the end it will help businesses on the Danforth. 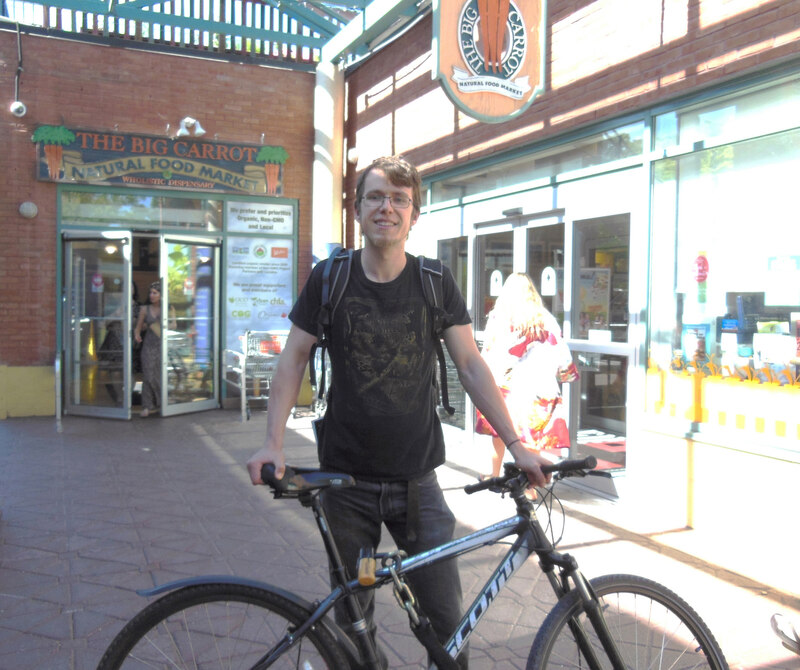 Studies have shown that over time bike lanes do help local businesses. I'm thrilled, I absolutely can't wait. Biking along Danforth and Bloor always feels a little dangerous, no matter what in any traffic. I think it'll help businesses too. I don't see how it could hinder it, unless they take away sidewalk or road space, but I doubt that would happen. We absolutely do. Bike lanes represent safety and a good way to get across town for cyclists. 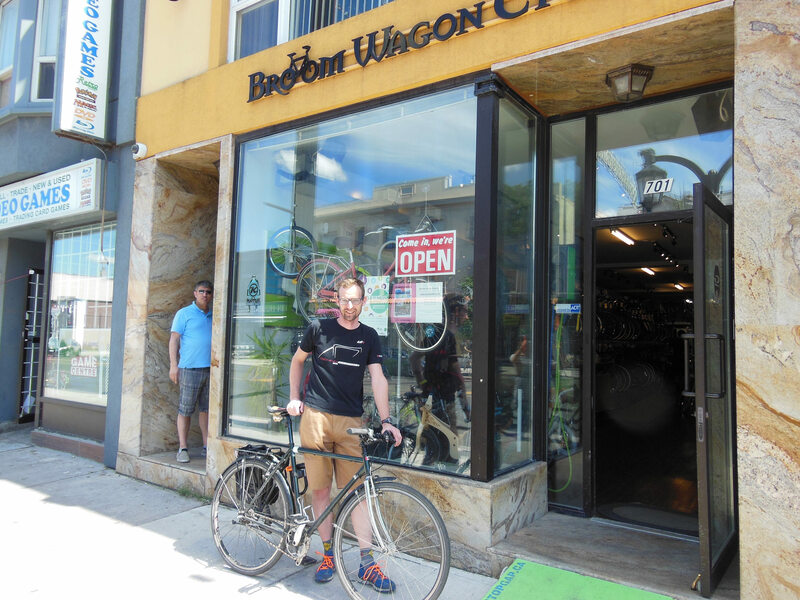 And cyclists bring a lot of business to our store. Our new issue of dandyhorse has arrived! dandyhorse is available for FREE at Urbane Cyclist, Bikes on Wheels, Cycle Couture, Sweet Pete's, Hoopdriver, Batemans, Velofix, and Steamwhistle. Our new issue of dandyhorse includes cover art by Kent Monkman, interviews with Catherine McKenna and the women behind Toronto's first feminist bike zine, lots of news and views on Bloor, Under Gardiner and the West Toronto Railpath and much, much more! Get dandy at your door or at better bike and book shops in Toronto.